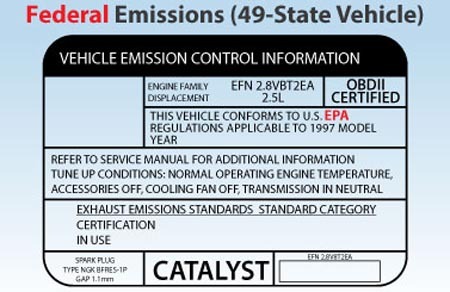 Possible locations of the Vehicle Emission Control Label. 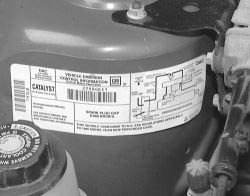 After locating the label proceed to the instructions and examples below. 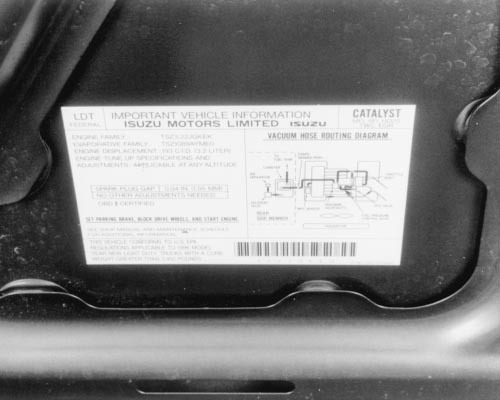 Below you will find two examples of Vehicle Emission Control Labels. One shows EPA Federal application and the other EPA Federal and California applications. 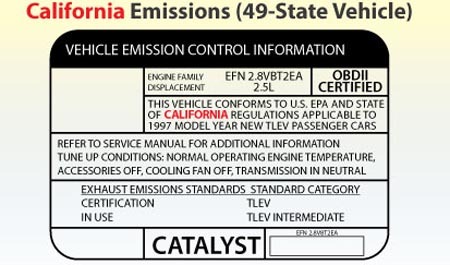 If the label on your car references both EPA and California then your car is equipped with a California Emissions platform. 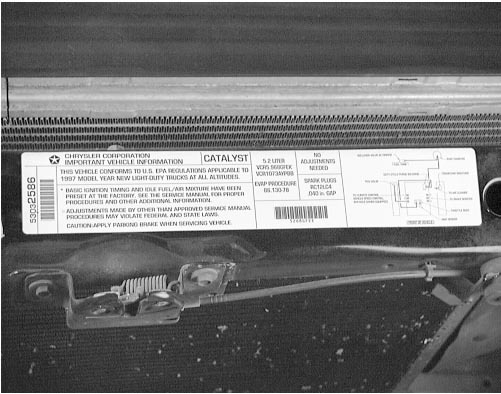 If the label only references applicable EPA emissions then the vehicle is considered a Federal Emissions platform. Of course the label will illustrate only your specific vehicles year and engine size.